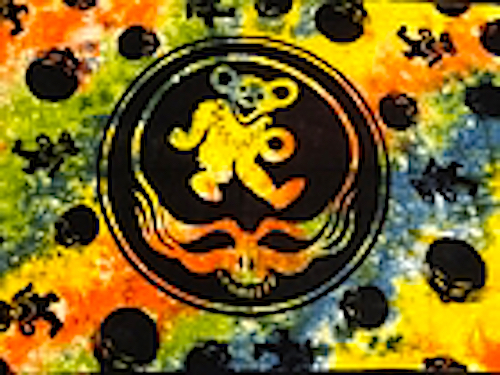 Grateful Dead Tie Dye Tapestry:Handmade Tie Dyed Grateful Dead Tapestry great to use for a wall hanging, bed cover, table cover or window cover! 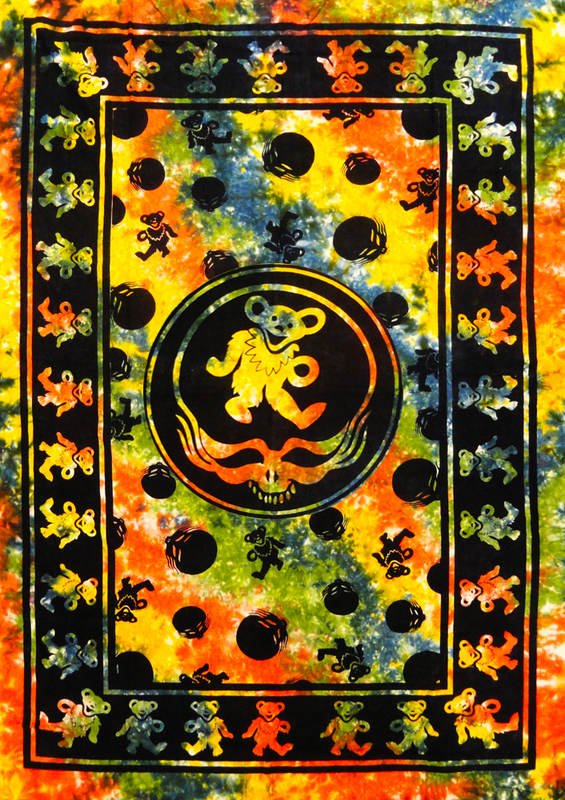 Handmade tie dye tapestry created using traditional methods used in India along with natural plant dyes. 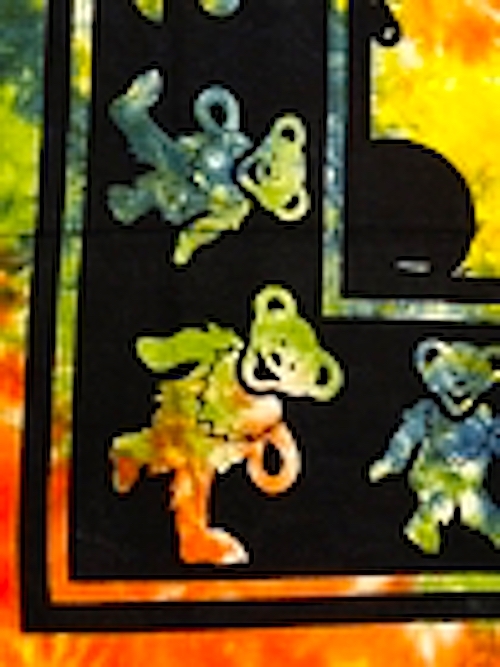 The hand-dyed fabric is then printed with Dancing Bears and Steal Your Face designs. Great for use as a wall tapestry, bed covering, table cover or window covering. 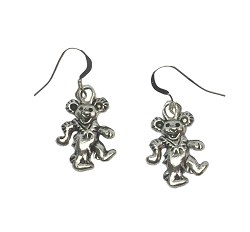 100% cotton, machine wash gentle and hang to dry. 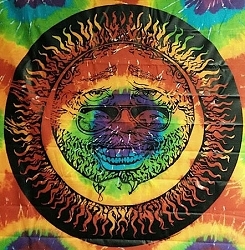 This tapestry measures approximately 55" x 85". 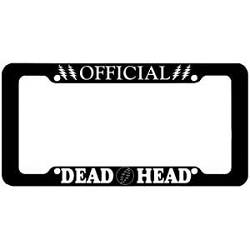 A cool addition to any bedroom, dorm or den for the Deadhead in your life. 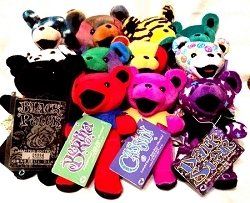 Colors include yellow, orange, green, blue, white with black print. Individually hand dyed so each one will vary slightly. The picture shows a good representation of the one you will receive.